As a “thank you” for all their hard work and effort, six Teen Leaders from the Open Minds Teen Science Café in Whiteville, North Carolina were recently given the opportunity of a lifetime. 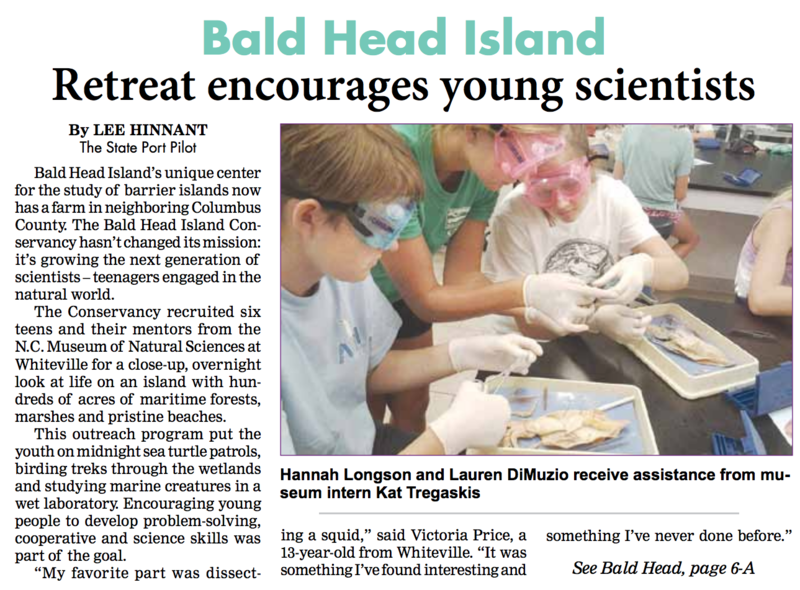 They were invited on an overnight expedition at the Bald Head Island Conservancy where they helped teach classes to young children, shadowed college-age interns in their daily routines, dissected various sea creatures, and watched loggerhead sea turtles hatch and find their way to the ocean. 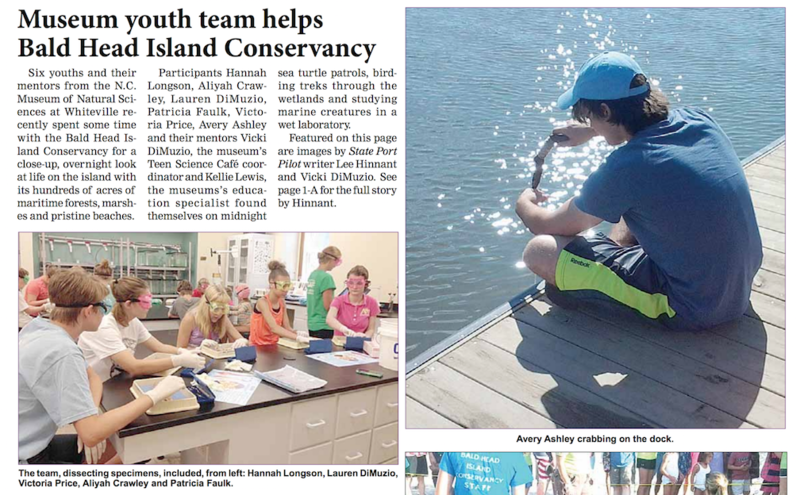 Along with having fun, the Teen Leaders also had a peek at life on the island and what it takes to work in the field of conservation. This was a mutually beneficial situation, as the Conservancy was also using it as a test run, of sorts, for programs in the future. 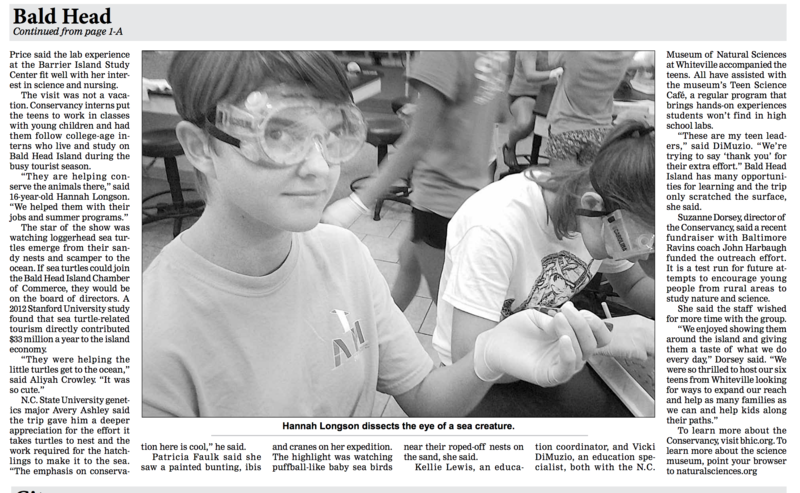 The event was featured on the front page of the local newspaper called The State Port Pilot. Read on for a great story and wonderful photos celebrating our own Vicki DiMuzio and her amazing crew! 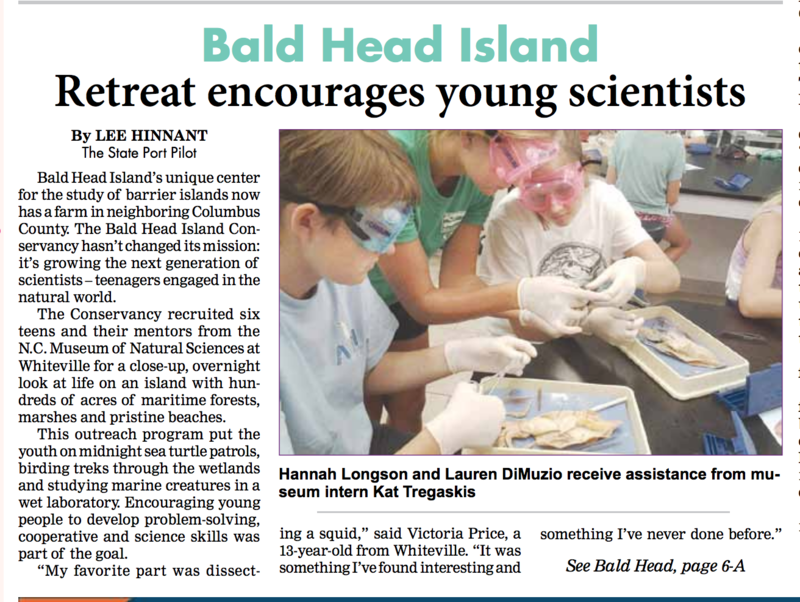 The Bald Head Island Conservancy is a non-profit organization that was founded in 1983. The Conservancy’s mission is barrier island conservation, preservation and education. It is located in a unique area within the Smith Island Complex which includes Bald Head, Middle and Bluff Islands, all of which are bounded by the Cape Fear River and the Atlantic Ocean. The Conservancy sponsors and facilitates scientific research that benefits coastal communities and provides numerous recreational and educational activities to the public. In coordination with various organizations, partnerships and collaborations, the Conservancy has led the nation in conservation and research efforts and is uniquely poised to become a leader in Barrier Island Conservation world-wide. 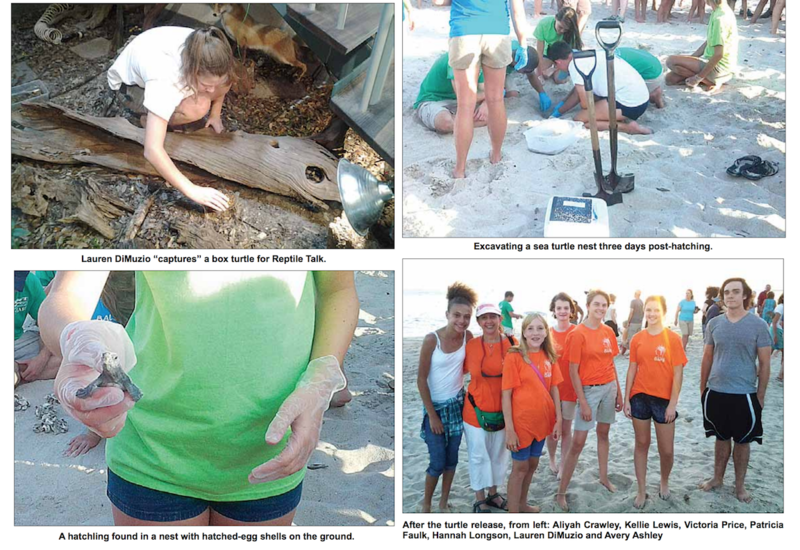 Fostering Community-Based Barrier Island Conservation, Education, and Preservation. Bald Head Island and Coastal Communities Live in Harmony with Nature.